Product prices and availability are accurate as of 2019-04-23 23:49:20 EDT and are subject to change. Any price and availability information displayed on http://www.amazon.com/ at the time of purchase will apply to the purchase of this product. 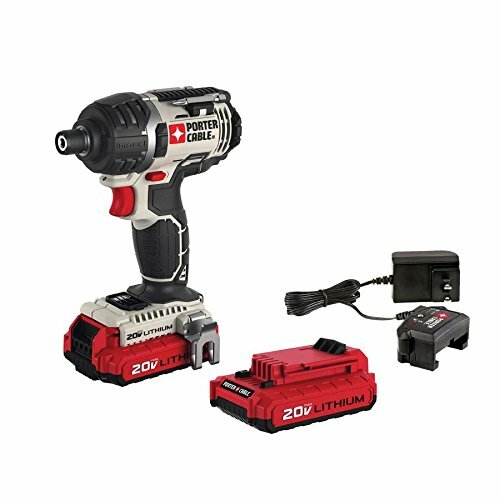 The Porter-Cable PCCK640LB 20V 1/4-Inch Hex Lithium Ion Impact Driver Kit features an impact driver with a high torque motor. The 20V Max Lithium Ion batteries with 1.5-Amp cells deliver more power and runtime in a smaller package. An easy load chuck allows user to insert bit with one hand and the LED Work light provides additional light in dark work areas. 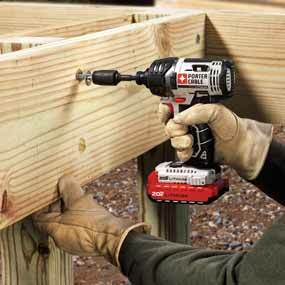 As a compact tool (6.2-Inch in length, 3.2-Pound), this impact driver easily fits in tight spaces and reduces fatigue. The battery fuel gauge displays charge remaining in the battery. 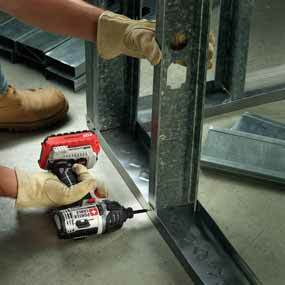 The compact design of the PCC640 20-volt max 1/4-inch hex impact driver belies its innovative lithium-ion battery power, allowing you to tackle fastening jobs in tight spaces for longer periods of time between charges (view larger). 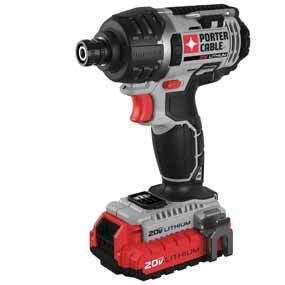 Utilizing Porter-Cable’s latest lithium-ion battery platform for power tools, the PCCK640LB 20-volt max 1/4-inch hex lithium-ion impact driver kit includes the tools and accessories necessary to power through the toughest fastening applications. With a compact and lightweight design, the PCC640 impact driver is designed to eliminate user fatigue, but it doesn’t compromise on speed and power thanks to its high-performance transmission and high-torque motor. 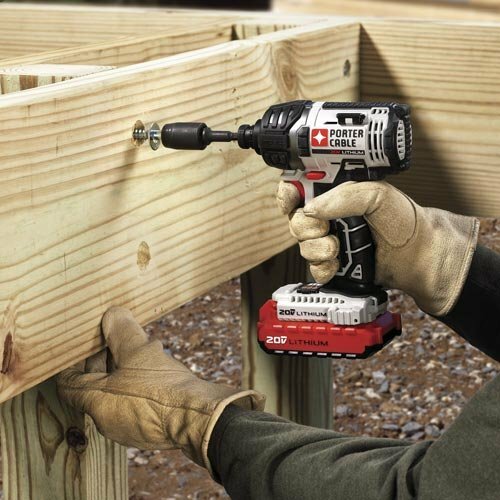 Combined with two PCC680L lithium-ion compact batteries and a FMC690L lithium-ion charger, the PCCK640LB impact driver kit includes everything you need for a variety of projects, whether you’re assembling HVAC ducts, building a deck, or installing drywall. Porter-Cable’s PCCK640LB 20-volt max 1/4-inch lithium-ion impact driver kit capitalizes on the latest lithium-ion battery platform, allowing for the compact PCC640 impact driver to deliver long-lasting power that gets the job done. The high- torque motor (1,450 inch-pounds) and high-performance variable-speed transmission (0-2,900 RPM/0-3,000 BPM) maximizes efficiency for fastening applications. Monitor the charge level of the included PCC680L 1.5 amp-hour lithium-ion batteries with the impact driver’s incorporated battery gauge to manage performance capacity on the job site. 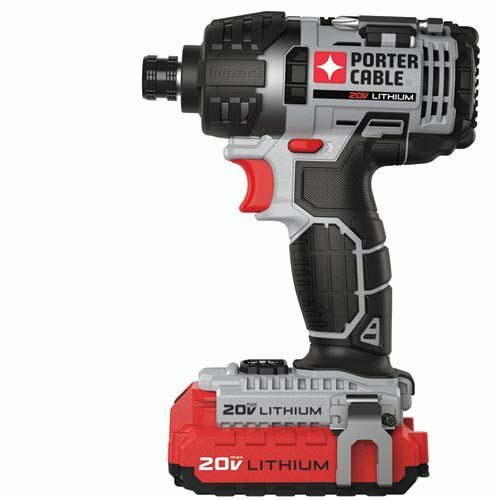 Porter-Cable has managed to pack all that lithium-ion power in a small package—measuring 6.2 inches in length and weighing only 3.2 pounds, the PCC640 20-volt max impact driver was built to fit into tight spaces inside nooks and crannies to fasten easily but powerfully. Its ergonomic design, cold-forged internal impact block, and no-slip grip reduce user fatigue and increase ease of use over long periods of time. A built-in LED light improves visibility, while rubber bumpers on both sides help to protect it from wear and tear. The 1/4-inch hex quick-change chuck and two-bit storage feature make it easy to change and store bits, and the built-in belt hook means it’s never out of arm’s reach on the job. With more than 100 years of experience producing quality and performance-driven tools, Porter-Cable is a leading manufacturer and marketer of professional-grade cordless and corded power tools, equipment, and accessories. Known for industry-changing innovation, Porter-Cable introduced the world’s first helical drive circular saw, portable band saw, and portable belt sander. One Porter-Cable PCCK640LB kit, including one PCC640 20-volt max 1/4-inch hex lithium-ion impact driver, two PCC680L lithium-ion compact batteries, one PCC699L lithium-ion charger, and one No. 2 Philips head screwdriving bit. 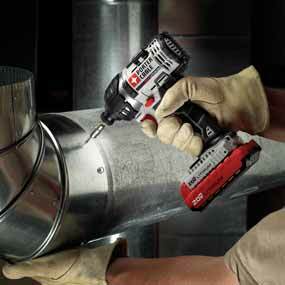 Porter-Cable PCCK640LB kit includes the PCC640 20-volt maximum 1/4-inch hex impact driver, above (view larger).